Short Haircuts For Fine Hair – Get it here! Are you one of those ladies who gets confused when it comes to styling fine hair? Well, you don’t have to worry any more because on this list I have featured some of the best short haircuts for fine hair. However, you need to opt for haircut which flatters your face in an attractive manner. In most cases, people confuse fine hair with thin hair, yes. These two look almost the same, but fine hair can look thicker when hair is too short. This type of hairstyle has a small diameter which makes it weak and easy to break, so make sure you treat it gently. Check out my tips on how to improve fine hair. To choose the best style, check out these glamorous short haircuts for fine hair below, and if none of these style grab your attention then check out my other collection of 7 Short Sassy Hairstyles! Short Haircuts For Fine Hair – With a Bang – Get it here! Condition and Wash your hair before applying any styling hair product:- This is a basic process which every woman / hairstylist should know, it’s too simple and it takes very few minutes. However, to give that fine hair a volumized look, you need to wash it cold water, avoid using shower water which has chlorine, this is a strong chemical which will wipe out all natural oils from your hair. Blow dry hair after washing it: – This is another basic step, however, you need to set the temperature of the blower to a standard level because fine hair has weak hair strands. On the other hand, you wrap a towel over the head so that it absorbs the water and leave the hair moist but not wet. Use a light texture product :- In most cases, women use gel / serum as texture products, apply serum on your hand in moderate amounts and message through your hair, also message the scalp gently so that it produces more natural oils. Comb through your hair: – To get a perfect look similar to the one featured in the picture above, you need to use a bristle / wide toothed comb. Brush your hair neatly in all directions. Style the Bang: – If a fringe / bang is well styled, you will get an amazing look and probably a new face shape, you can either side swept it or comb it to the front. 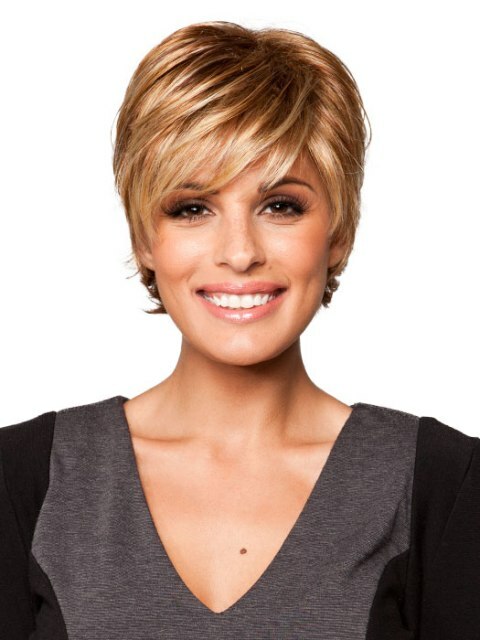 Medium length pixie haircuts look nice on ladies with oval face shapes. Trim: – Having a short haircut is one great achievement, but taking care of it is another milestone. Natural hair grows on a daily basis, so to keep that short level; you need to trim your hair at least twice in a month. Spray: – To get a smooth look like the lady above, you need use a good hairspray, you can apply it twice in a day. Shaggy Short Haircuts For Fine Hair – Get it here! Cute Short Curly Haircuts For Fine Hair – Get it here! Make the curls:– If you have straight fine hair, you need to prepare it so that it gets ready for a new curly hairstyle. Use the right shampoo to clean your hair and blow dry it so that it stays moist but not wet. To make the curls, you can either use a curling iron or use natural methods like buns / braids. Use a heat protectant:- If you opt for the curling tool, you need to protect that fine hair with a heat protectant. Set the curling iron to a moderate temperature, if your hair gets dry during the curling process, sprinkle some little water over the hair and continue to roll the hair strands on the curling barrel. Scrunch through your hair:- After making curls, you will notice that your hair will be messy, please don’t get tempted to brush through curly hair, you might end up straightening the curls. 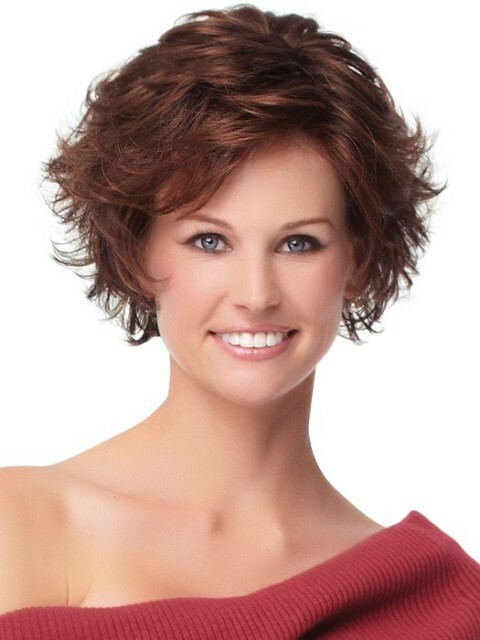 Without doubt, this short curly haircut will look good on ladies with round face shapes. 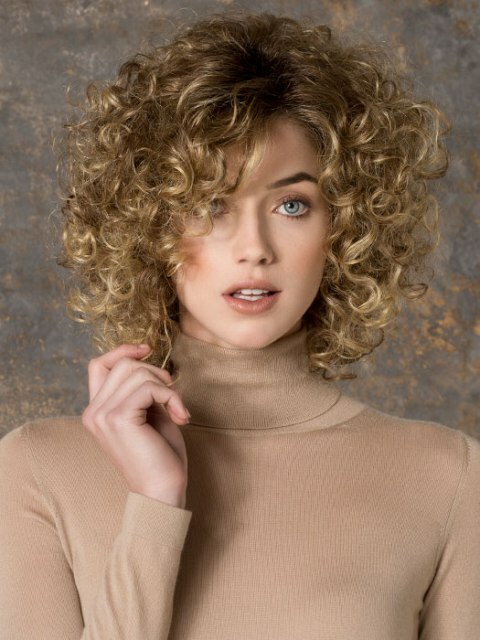 Cut off split ends: – Since hair grows on a daily basis, you need to trim off those split ends so that your new short curly hairstyle looks pretty. Don’t over wash short curly hair: – I know most of you want to be clean all the time, however, when it comes to maintaining curly hair, you don’t have to over wash it because it will loose natural moisture. Midnight Brown Short Haircuts For Fine Hair – Get it here! Beautiful Short Haircuts For Fine Hair – Get it here! Short Haircuts For Fine Hair – Square Face – Get it here! 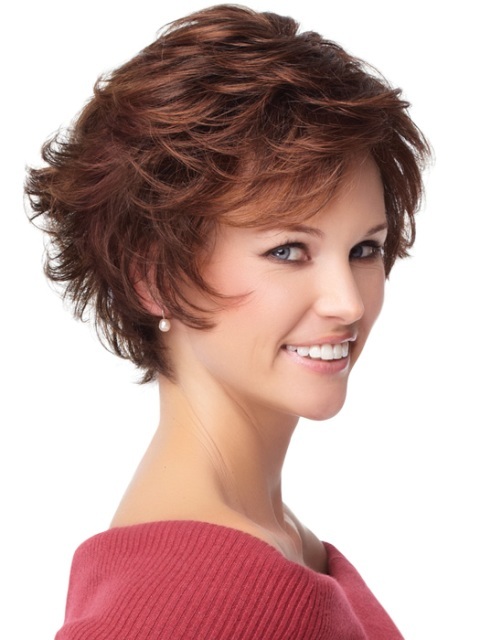 Cut your hair short: – To get a similar appearance like the lady in the photo above, you need to cut your hair super short to a level of a pixie haircut. Apply Dye:- You should choose a color which looks good on you, the best way of determining this is by testing with temporary hair dye, because you can easily wash it out. Use a styling hair product: – When it comes to the choice of styling product, I will leave that to you because each hair type has its own friendly hairstyling product. Apply this product to moist fine hair so that it gets a thick volume, because most of these hairstyles will look cute when you have a little bit of thickness. Detail this haircut with your fingers: – To make the simple waves like the ones in the picture above, you can simply move your fingers through the hair. Just like you see the lady in the picture looking amazing with the hair style there is therefore no doubt that a lady with a square face shape will look as nice as the lady in the picture or even better. Try a good hair conditioner and shampoo; most of you love adding conditioner to all your hair but your advised to only add conditioner to the ends of hair to avoid split ends. Only use a lot of conditioner on your hair if you have oily hair which rare for those with fine hair. Moisturizing shampoo and lots of conditioner is advised for those with dirty itchy scalps. Avoid excessive combing of your hair; this makes your hair break and adds split ends to it which makes it your look disorganized. Always ensure to comb your hair when it is dry, combing your hair when its still wet can cause serious damage to it. 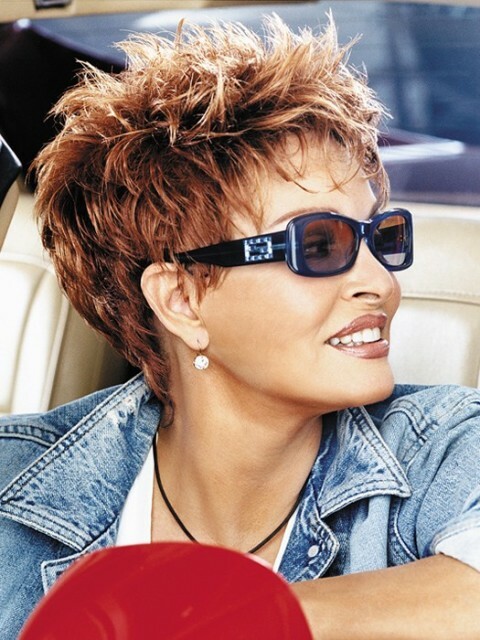 Brown Short Haircuts For Fine Hair – Get it here! Short Haircuts For Fine Hair – Oval Face – Get it here! Use styling products; different people use different styling products therefore choose a styling product of your choice before you start styling your hair to make it easy for to style. Blow dry hair; when drying your please ensure to use your finger to bring out the hair style well, combs will make the waves disappear so endeavor to use your fingers to blow dry. Cut your hair; to make a similar look like that of the lady above you need to cut your hair so as to the ends look as nice as they do in the picture above. Avoid using combs; for this kind of hair style you only need to pass your fingers through the hair to make the waves appear they are in that picture. An oval face shape will absolutely look beautiful with kind of hair style. It can also look pretty on those with wider faces. Let your hair air dry; after washing your its not s must that you should use tools to dry it, you can also leave your to air dry this is advantageous in such a way that, in the short run the tools make your look nice but in the long run the tools instead damage your hair. Use of shampoo; if you’re the kind that loves to wash your hair daily, you should always use a gentle shampoo. If you use a strong shampoo to wash your hair then you should avoid washing your hair daily because it makes your weak and will therefore break. Do not comb your hair when it’s wet; when styling your please make sure that it is thoroughly dry, combing your when it’s still wet is very dangerous to your hair. Try out using a thicken up; the Paul Mitchells thicken is on of the good ones you can opt for, using a thicken up will help to make every strand of your hair thicker hence adding abit of volume to your hair. Short Curly Haircuts For Fine Hair – Get it here! Apply styling products; first of all this hair style rocks for those with naturally curly hair. Add alight weight curl enhancer to your when it’s still wet. Dry your hair; after adding the curl enhancer you can go ahead to dry your hair using a diffuser this makes your curls stand out well. Use a curling wand; if some bits of your hair haven’t curled out well use the curling wand to add curls to those bits of your hair that need more curls. Use a hair spray; after all this is done use a spray to make your hair look bright and shiny and to make the curls stay firm. Long and narrow face shapes look perfect with kind of hair style, because of the volume on the sides it will look very nice on the long faces since it makes your narrow face appear wider. Use of hair conditioner; use a hair conditioner that is not too heavy and not too light for fine curly hair. The use of tools; avoid using tool on curly hair in most cases use your hands when styling the hair, tools such as flat irons, blow driers will remove the curls and in the long run may make your hair straight therefore avoid using them. Do not wash your daily; washing your hair daily also makes the curls disappear slowly by slowly so you can choose days when you prefer to wash your hair so that you maintain the curls. Always use a hair spray; the best way to care for curls is by spraying your hair on a daily basis because it makes the curls firm. Short Haircuts For Fine Hair – Round Face – Get it here! Cut your hair short; first of all, to get a look the one in the picture you to cut your hair short. The hair style will only be easy for you to style if your hair is short. Apply styling products; when your about to style your hair always keep at the back of your mind that you should apply the product when your hair is still wet. So after choosing which ever product you want to apply to your hair make sure to apply it when your hair is still wet. Detail the hair style with your fingers; since these waves are simple and spiky passing your finger the hair will the best way be the best way to make your hair appear like the one in the picture. Round face shapes will definitely rock with this one. The bangs on the sides will give a glamorous look to any one with a round face shape. Get rid of any tools; they will destroy your hair or if you must use heat protectors to prevent the damage that the heat produced by these tool s may cause to your hair. Regulate the number of times you comb your hair; avoid combing your hair several times a day, this is very harmful to your hair. As already said fine hair will be perfect with a touch of your fingers. It will be safe and neat at the same time. Using hair treatment; adding a suitable hair treatment to your will absolutely make you proud of your own hair, adding treatment through out the night and you wash it out the next day is very good and advisable. You will have smooth and shiny hair if you treat it this way. 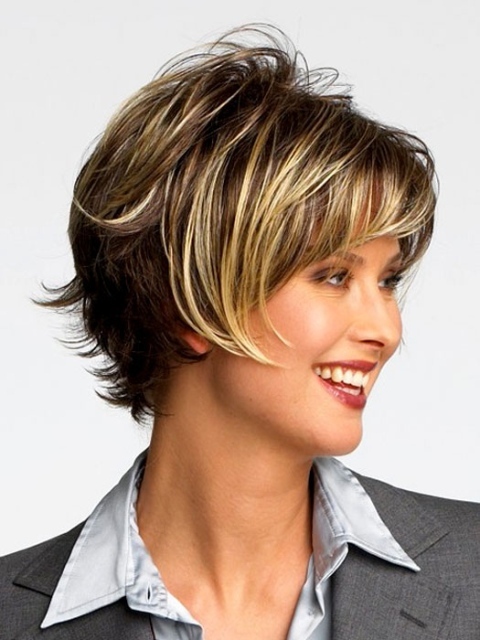 Short Haircuts For Fine Hair – Women Above 40 – Get it here! Blow dry with a round brush; use the round brush during blow drying to add a bit of volume to the hair. You can go a head to move the bangs where you want them. Styling this hair style is that simple and will give you an amazing look. Use a styling product; add a little styling product and pass your fingers through and you will be good to go. Use a spray; you can apply a medium hold spray to keep this style of hair shiny. 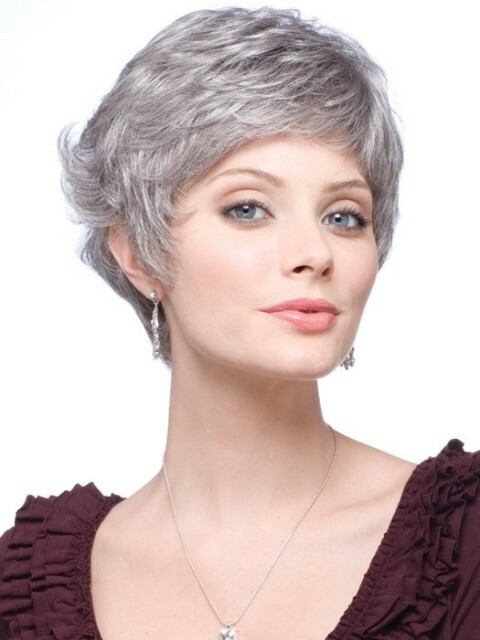 The hair style is good for those with round wide faces, the hair style will give you a beautiful and amazing look and is comfortable for the women at this age. Wash your hair correctly; use shampoo and not conditioner when massaging your scalp you can do this process once if your hair is not oily but if you have oily hair you can repeat the process once more. Try not to wash your hair daily because thus will strip your off of its natural oil. Dry your hair carefully; avoid wrapping your hair in a towel when it is still wet because this may cause strand s of hair t break off, and since wet hair is very delicate. How to use the blow dry; for some people blow drying is seen as harmful but in actual sense it will only be harmful if used wrongly. Therefore when blow drying your hair, keep the blow drier a distance away from your hair, this way your hair will be dry and safe. Also remember to use minimum heat when blow drying your hair. Be careful on how to use styling products; styling products can be very harmful to you if applied directly on the scalp, if you must apply directly on the scalp do not do it daily. You should therefore apply the styling products carefully on the strands of your hair if you apply them daily. 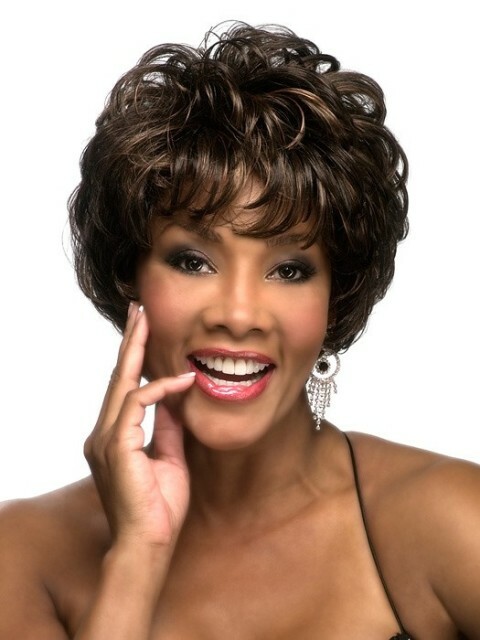 African American Short Haircuts For Fine Hair – Get it here! Short Haircuts For Fine Hair – With Color – Get it here! Apply a styling product on wet hair; it’s always advisable to apply the styling product on your on strands of your hair when your hair is still wet. Blow dry hair; use your fingers when b low drying your hair, for this hair style to appear the way it appears on the lady in the picture. Try using or applying dye; think about your skin color and apply dye that will match with your skin color. It’s always advisable to use temporary hair dye that is easy to wash out in case it does not look like you expected. Only apply the dye on hair strands and not the scalp. Dry your hair; you can use alight texture product to dry your hair, a light texture product is more advisable than a thick texture one because it will the waves spike out nicely and is works better on fine hair. 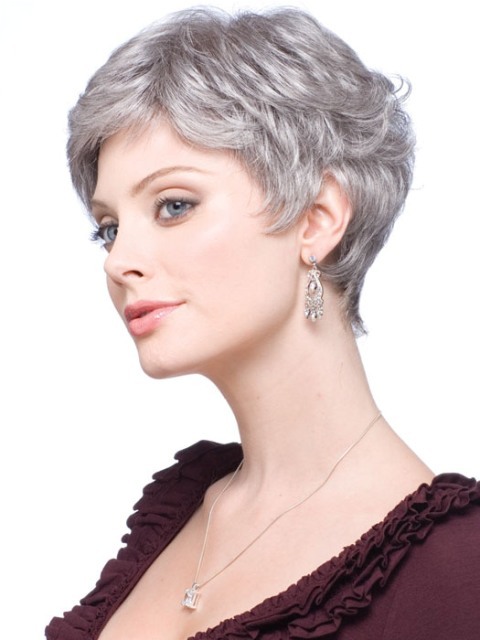 The hair style will look work out for women with oval face shapes. Use spray wax; this spray wax helps give even and controlled distribution of wax on your hair. Mind what you eat; the foods you eat have great effect on you hair, nails and skin therefore foods like essential fatty acids will keep your hair strong and prevent it from breaking easily. Use the right heat styling tool; in this you should use tool that have variable heat levels that is to say tools where by you can adjust the heat to the level you need. Always give your hair special treatment; you can always apply special treatment twice or once a week, use treatment such as olive oil and wash it out using clean water without using shampoo or conditioner. Easy Short Curly Haircuts For Fine Hair – Get it here! Blonde Short Haircuts For Fine Hair – Get it here!